Surburbanscapes: Art Beyond the Metropolis was a new program initiative to commemorate the 30thanniversary of Rosewood Arts Centre and the 60th anniversary of the incorporation of the City of Kettering. We celebrated our city’s legacy in a yearlong program series that included interactive artistic events, workshops and activities that dug deeper into our legacy as a suburb and a community pillar for creative expression and education. View the list of programs here! 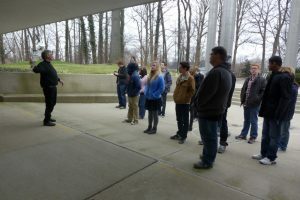 Take a 16 minute tour of Kettering’s mid-century modern architecture with Cultural Arts Manager Shayna V. McConville! Originally presented at Pecha Kucha Night Vol. 10 at Rosewood Arts Centre back in 2012, Shayna recently shared a version of the presentation on the Kettering Daily Show. View the presentation here (16 min 42 sec)! The students at Dayton Regional STEM School are spending the semester learning about architecture, under the direction of Jenny Montgomery. Rosewood Arts Centre and the City of Kettering are partnering with the class to bring in guest artists and focus on Kettering’s architectural legacy! 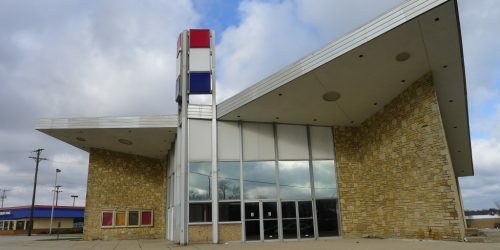 Suburbanscapes is made possible in part by Ohio Humanities, a state affiliate of the National Endowment for the Humanities, City of Kettering, the Kettering Parks Foundation, the Ohio Arts Council, the National Endowment for the Arts, the Community Foundation for Kettering Fund of the Dayton Foundation and the Virginia W. Kettering Foundation. 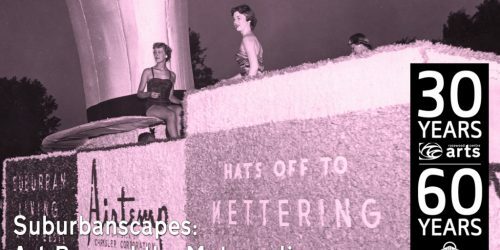 Header image credit: City of Kettering Celebration , Kettering, 1955. From the Kettering-Moraine Museum Collection at Dayton History (detail).